My First Project, vol. 3 8 easy pieces that look so fashion perfect, no one will guess these are beginner projects. 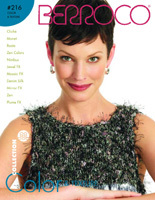 Adornments 27 pieces to adorn the body and decorate the home will appeal to the novice as well as the seasoned knitter. 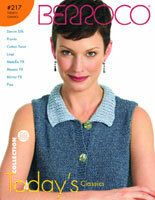 Sweater Girls 19 great fashion knits include something for women of every age and style. Kid Stuff Our popular "1 sweater 3 ways" format brings 21 options for knitting, this time for kids in our softest and most colorful yarns. My First Project, vol. 2 8 more elegant but easy beginner projects in plain English. New techniques explained in simple terms. 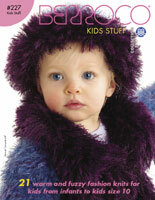 Scarves & More 17 designer throws, scarves, baby items, hats, belts, bags and more. 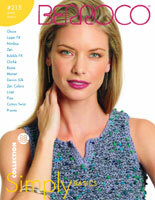 Fashion Focus 19 very chic summer knits that take you from day into evening in casual style or spectacular glamour. 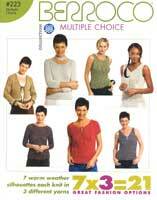 Multiple Choice A favorite format includes 7 easy sweater bodies x 3 = 21 fabulous takes on basics. The difference is in the details. My First Project, vol. 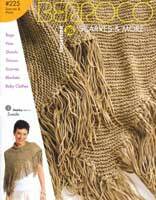 1 Simple garter or stockinette stitch rectangles, with absolutely no shaping, create 13 trendy, minimal knits that will appeal to the hippest of knitters. Simple Pleasures 21 fabulous takes on cool weather knits. The yarns and the details make the difference. Individualist 20 sensational fashion pieces that range from weekend casual to ultra dressy knits, including coats, pullovers, cardigans, jackets, legwarmers, a scarf and a hat. Basic Classics Simple sweaters stitched in 3 different ways create 21 memorable knits. Etc., Etc. 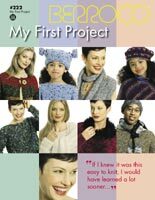 16 pieces including 12 gorgeous scarves and shawls, make this collection a perfect resource for gift giving ideas. Today's Classics 15 garments range from haute retro to modern chic, knit or crocheted in our classic yarns with lots of interesting details. 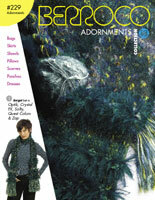 Color & Texture 15 fabulous attention grabbers to knit for every occasion in our fancy yarns. Simply Basics 5 easy sweater bodies, each knit with unique details in 3 different yarns, creating 15 sleeveless and short sleeve summer sweaters.